One marketing trend that’s impossible to ignore is the growing power and value of visual content. The way people — especially younger people — are consuming content is radically changing. So, now is the time to learn how to create infographics. If what people consume in just one minute online is any indicator, consumers are connecting to, searching for, watching, creating, downloading, and shopping for content more than ever. What effect does visual content create? 81 percent of people only skim the content they read online. About 84 percent of communications will be visual during 2019. About 79 percent of internet traffic will be video content in 2019. Let’s learn how to benefit from this tendency in 2019. An infographic (information graphic) is a representation of information in a graphic format designed to make the data easily understandable at a glance. People use infographics to communicate a message quickly, to simplify the presentation of large amounts of data, to see data patterns and relationships, and to monitor changes in variables. Infographics abound in almost any public environment — traffic signs, subway maps, tag clouds, musical scores and weather charts are just a few examples, among a huge number of possibilities. Data visualization is another term to speak about the process of creating infographics. inspires to consume and share more of your content. Making infographics is a highly useful skill. Infographics can be a great way to make sense of complex data. If only they are done right. The best infographics transform complex information and data into graphics that are both easy to grasp and visually appealing. The problem happens when infographics that look like they were simple to make are often anything but. Informing people about your brand, products, or services using blocks of plain text lacks the impact of a visually appealing infographic. They combine text and graphics into a powerful communication tool–delivering a large amount of information in a format that’s simple, clean, and concise. Infographics are especially useful for telling a story that emphasizes cause-and-effect relationships. 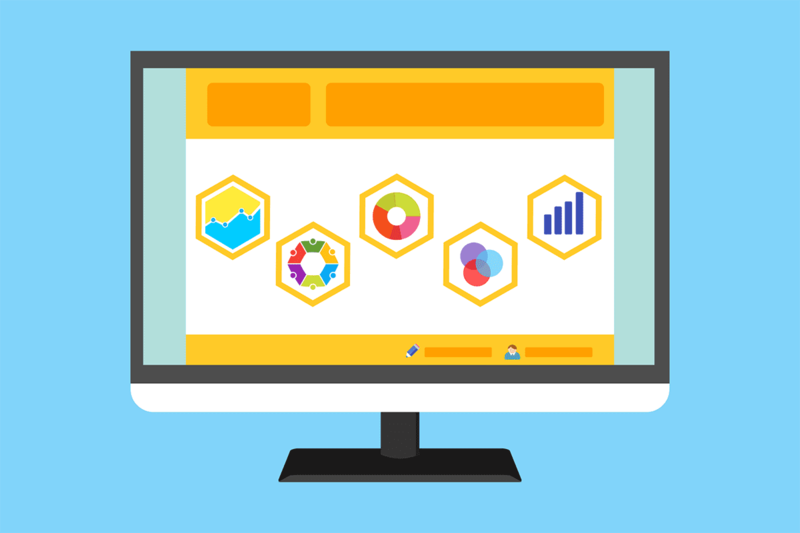 While statistics and numbers can quickly overwhelm an audience, presenting them in an infographic makes data more user-friendly, and positions you as an expert in your field. Don’t forget to cite your data sources with relevant links. Here are the top tools and apps for making infographics–we’ll start with a load of free infographic makers, then include some paid options at the end if you want to explore something with more control. Some options here are even suitable for non-designers, as templates and other features make them easy to use. Together with a photo editor and collage maker, BeFunky includes an infographic maker. Select a template, customize your theme with images and icons, and personalize the infographic by adjusting the text, colors, and layout, then just save and export. Visme promises to help you ‘speak visually’. You can use it to create infographics, but it’s also geared towards creating engaging presentations. This free tool includes over 100 free fonts, millions of free images and thousands of quality icons, and there are options to include video and audio (including the ability to record a voiceover directly in the editor which is handy). You can also animate your content to make things clearer. Cacoo is a cloud-based infographic maker, and as with any cloud-based tool, its major plus point is collaborative working. Cacoo’s interface allows teams to create, edit, and deliver high-quality diagrams together online, in real time. The application offers a diverse library of templates and shapes to help you put together beautiful visuals quickly and easily, with everything you need to create infographics, flowcharts, wireframes, network diagrams, Org charts, and more available through the user interface. You can also share your infographics with team members and clients if they don’t have a Cacoo account, and integrate Cacoo with other productivity tools such as Google Drive, Adobe Creative Cloud, and Confluence. Snappa is a graphic design tool that includes a free infographic maker. This one is for non-designers. You won’t have the control on offer with some other tools on this list, but it promises you will be able to ‘whip up’ an infographic in 10 minutes. Snappa offers preset templates optimized for social sharing on the web. There’s a simple drag-and-drop interface, and access to thousands of hi-res, royalty free stock photos. The free plan gives you five downloads per month and two social accounts, or you can upgrade for features such as unlimited downloads, custom font uploads, and Buffer integration. Canva is a powerful and easy-to-use online tool that’s suitable for all different design tasks, from brochures to presentations and much more besides. It also offers users a vast library of images, icons, fonts, and features to choose from. It features a dedicated infographic maker you can use for free, with hundreds of free design elements and fonts at your fingertips and many more premium elements you can buy for $1. You can either use it in the browser or download the Canva iPad app to design on the move — which is now also available for Android phones/tablets.